UIS News: UIS students to spend Alternative Spring Break fighting hunger and homelessness in Washington, D.C.
UIS students to spend Alternative Spring Break fighting hunger and homelessness in Washington, D.C.
A group of students from the University of Illinois Springfield will spend their spring break working at soup kitchens and homeless shelters in Washington, D.C. Volunteers will be working in collaboration with the Youth Services Opportunities Program of Washington, D.C.
A total of 25 UIS students and 2 staff members will leave Springfield on Sunday, March 16 at 5 a.m. and return to campus on Saturday, March 22 at approximately 9 p.m. The students will spend the week living in a hostel and serving in local nonprofit agencies that address hunger and homelessness in the D.C. metro area. Each day the group will work in smaller groups of three or four. The 27 participants will each serve approximately 40 hours over the course of the weeklong service trip totaling 1,080 hours of service provided. The Youth Services Opportunities Program (YSOP) is a nationally recognized leader in providing high-quality volunteer service experiences. 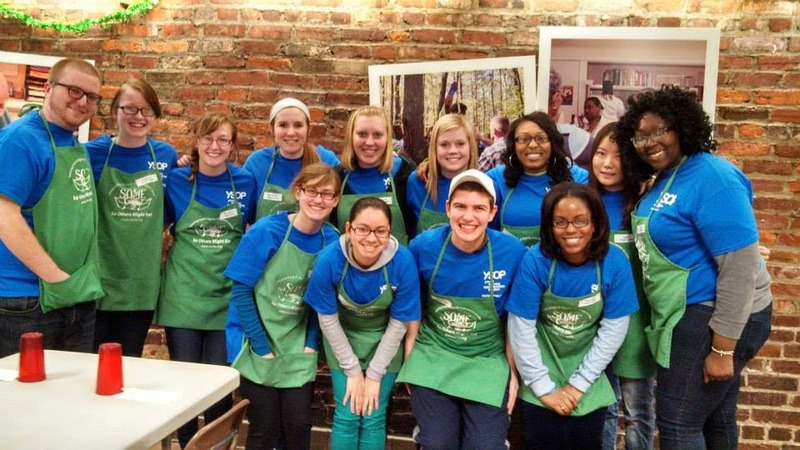 YSOP has been a pioneer in the field of service-learning, leading thousands of young people and adults in programs to encourage community participation and engaged citizenship through direct service to homeless and hungry people. “Alternative Spring Break at UIS is a student-led effort. The students choose the location, organize the logistics, recruit members, and work throughout the year to raise necessary funds” said Mark Dochterman, ASB adviser and director of the UIS Volunteer & Civic Engagement Center. This year’s trip will be supported by a $3,450 Venture Fund Grant from United Way of Central Illinois, which will offset the service related costs of the trip. The UIS Alternative Spring Break student organization was formed in 2009 when students took their first trip to Louisiana to help build homes for Habitat for Humanity following Hurricane Katrina. The following year, students traveled to Texas to help clean up damage from Hurricane Ike. In 2011, the students traveled to Tennessee to help clean up portions of the Mississippi River. In 2012, the students helped rebuild homes damaged by Hurricanes Katrina, Rita and Gustav in New Orleans. Last year, students helped with revitalization efforts in the Florida Everglades.